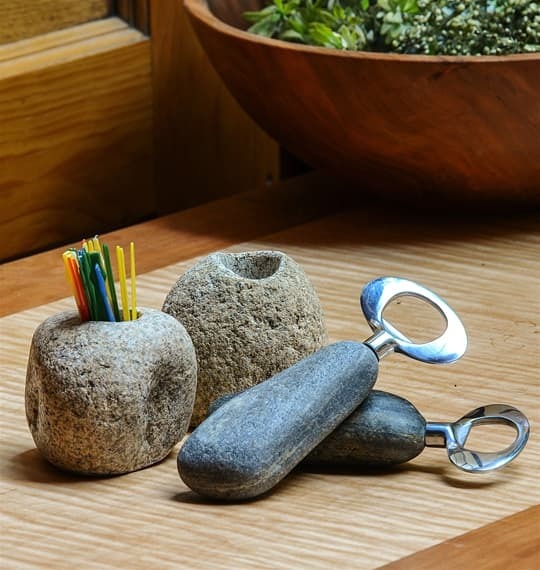 Jeff Henderson’s Funky Rock Designs make the best of what Mother Nature has to offer. 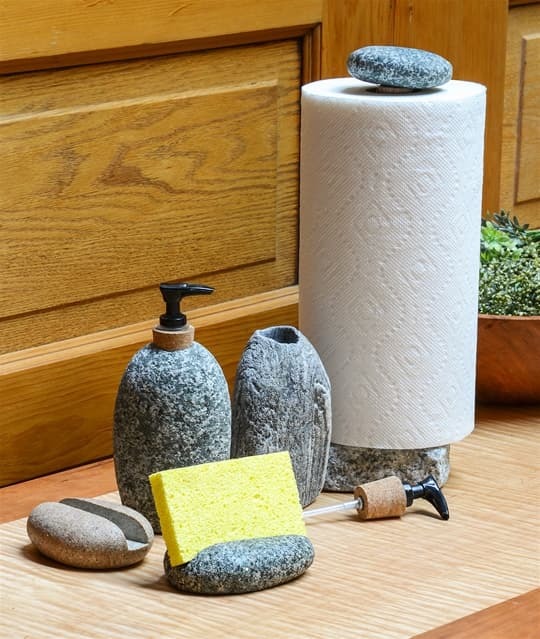 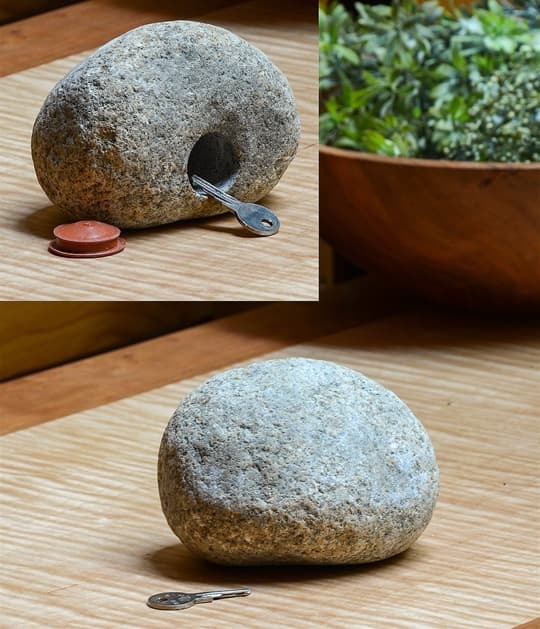 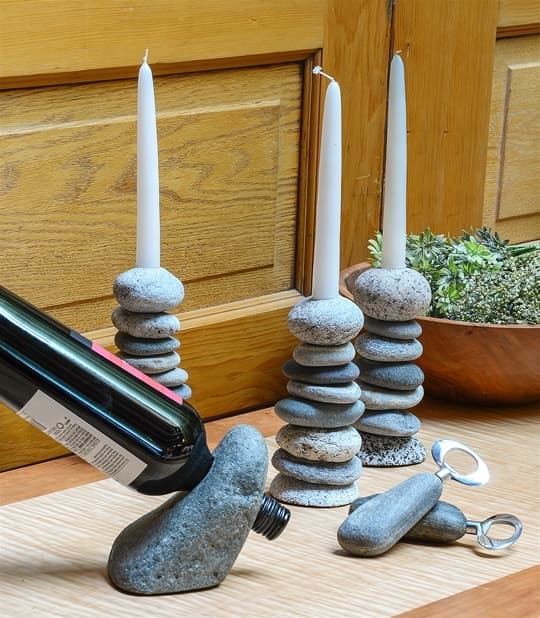 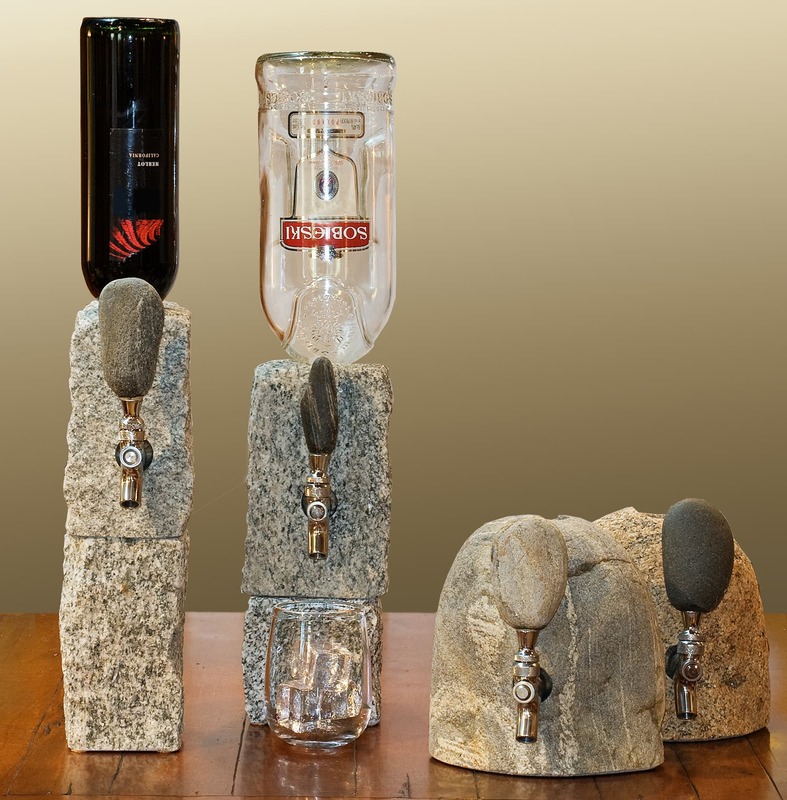 Made from actual rocks found along the shores of New England, these lamps, key hiders, match and toothpick holders, and alcohol dispensers add funkiness to any house. 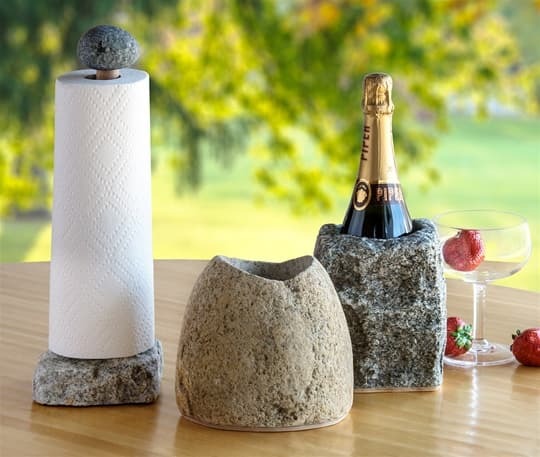 The booze dispensers are perfectly functional for both wine or hard liquors. 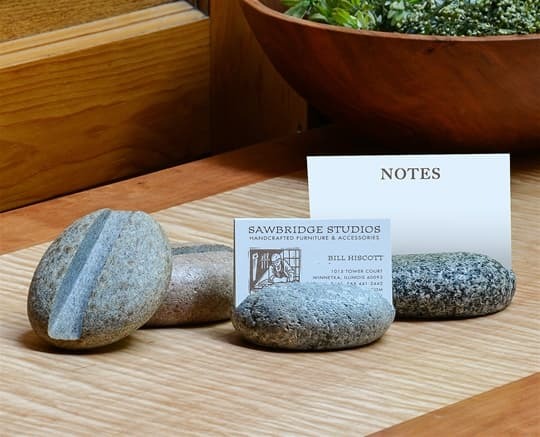 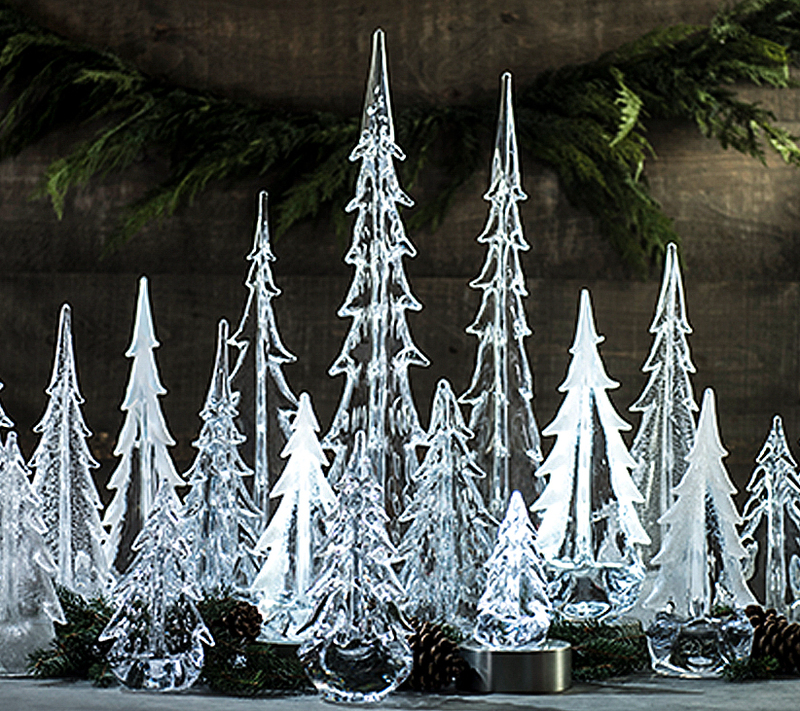 Jeff’s rock lamps are a Sawbridge favorite and are available in three sizes.